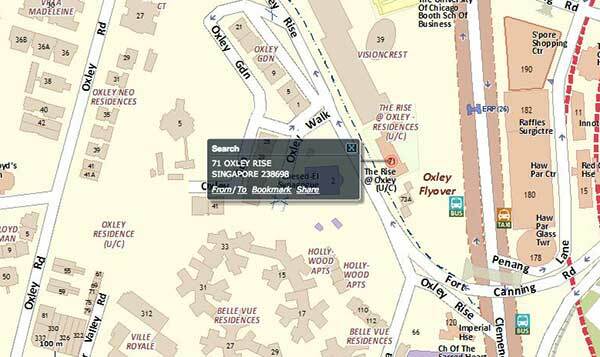 Oxley Residence is located at Oxley Road, Singapore District 9. Consists of residential units of bedrooms and penthouses. The location presents the nearest landmarks, shopping malls, dining and other attractive amenities that gives residents conveniences. The development is located beside famous Orchard shopping belt at Oxley Road. Also nearby to Funan Digitalife Mall, Tanjong Pagar Ricoh Park, Esplanade Park, Boat Quay, Clark Quay, Pearl Hill City Park and Fort Canning Park. Oxley Residence is a few minutes away from public transport like MRT Stations include Raffles Place MRT, Chinatown MRT, Tanjong Pagar MRT, and Clarke Quay MRT. It is close proximity to Central Expressway (CTE). Stay tune for updates of Oxley Residence price. Call us now at 6100 0877 for latest unit availability and pricing. *Oxley Residence VVIP Preview is available strictly by Appointment. Showflat opening hours may varies. For opening hours, do call our Sales Hotline at 6100 0877 or register below for your VVIP Preview.